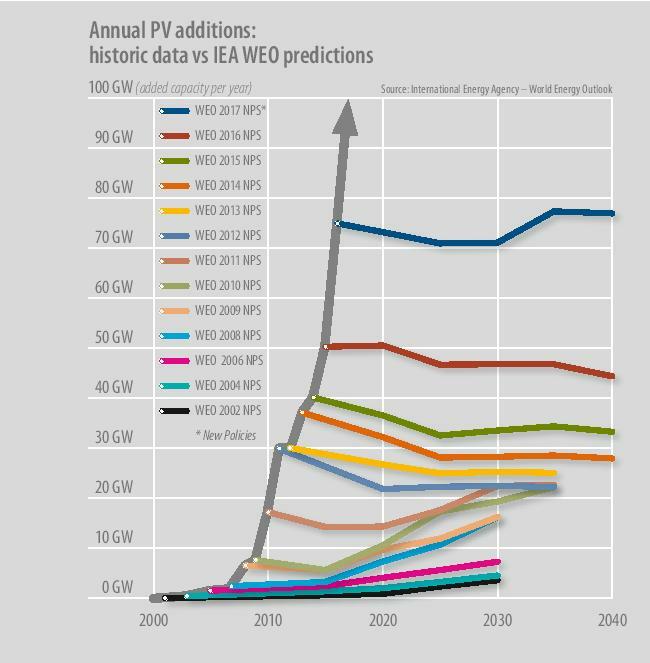 Birol should fire the solar modellers at the IEA: they are not just wrong, but ridiculous. Hoekstra would do a much better job. So would I, with a toy model that just says: “project the five-year historic growth rates”. As things stand, the IEA team are trailing a team of monkeys with a dart board.